Fox Traveller, India’s #1 Travel and Lifestyle channel brings the culinary extravaganza – MasterChef UK to Indian Television. 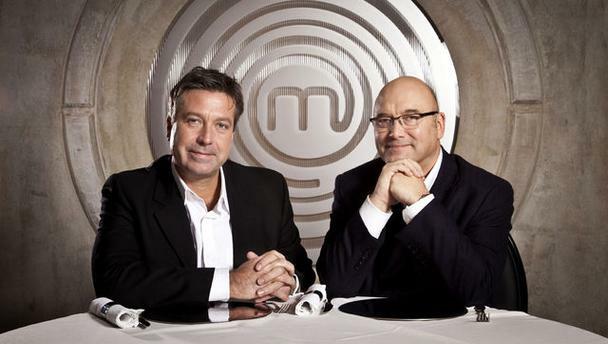 The ‘MASTER’ of all MasterChef’s brings together Chef & Restaurateur John Torode and Food Writer & Ingredients Expert Gregg Wallace, who are in pursuit for the country’s top celebrity chef. The first MasterChef on Television, MasterChef UK is a lip-smacking treat for all as contestants battle it out to win the coveted title of MasterChef. From “your time starts now” to “step back from your benches”, the show is exhilarating as the contestants face gruelling challenges- from pressure tests to interesting invention tests. During the 5 weeks, contestants will be put to test across locations and arenas of fine dining, mass catering, pastry making and many more. To claim the fame, the contestants have to master the art of European, Italian, Spanish and French cuisines. Apart from the in-studio challenges, contestants face a series of challenges on their trip to exotic Thailand. They will face on-ground pressure as they are given to run a popular market stall, cook dishes for 50 tourists on a gourmet food tour and prepare a Special Dinner for the Prince and his special guests. Catch the contestants fight their way to prove that they have what it takes to be crowned the MasterChef UK champion by demonstrating their passion and creativity with their dishes. Catch all the episodes only on FOX Traveller starting 14 February 2014 every Friday to Sunday at 10pm.